Innerspring mattresses have been around for decades and remain one of the most popular types among consumers compared to other types. You have probably been doing research recently and come across these types of mattresses for sale a lot on many websites and retailers. Although they are the most popular, surveys show that they aren’t necessarily the most satisfactory in terms of owner satisfaction. The best rated in order are memory foam, latex, air and then innerspring. If you are in the process of buying or comparing mattresses, you may want to check our comparison table below for some of the most highly recommended options around. Also, read the innerspring mattress reviews for expert advice and opinion to find the best innerspring mattress. Our buying guide covers everything you need to know and more when it comes to choosing the right one for your needs. All figures and specs in the table below are for a Queen Size; other sizes such as Twin, Twin XL, King, and California King will most likely have different specs. If you need a guide on mattress dimensions check here. The comfort layer (also known as the upholstery layer) is the top layer and is made of various foams or fibers to provide cushioning and comfort at the surface. Most common materials in the comfort layer are regular polyurethane foam, traditional visco-elastic memory foam, gel memory foam, or latex. The cheaper options may have a top layer consisting of polyester material, cotton, or polypropylene (celestra). Also known as the spring core, this is the main bulk or body of the interior which provides the support while sleeping. By looking at the adjacent image from Sears, one can see it is made up of hundreds or sometimes thousands of steel springs, also known as coil springs, or coils. There are various factors to consider within this layer which all combine to determine whether it’s a firm or soft and whether it’s an expensive or cheap mattress; such factors include (but not limited to) the gauge and count, which we will discuss in detail further on. The fabric cover (or Ticking) is what encases the whole mattress, i.e., the comfort and support layers. This encasing can come in all colors and patterns and is mostly made with polyester yarns. The most expensive mattress may have ticking containing a combination of polyester with rayon, cotton, silk, or wool. Commonly referred to as the Bonnell or coil sprung, this is the oldest and most common type of system used mostly in cheap mattresses. It consists of multiple hourglass shaped springs made of tempered steel laced together to form the bulk of the innerspring structure. Compared to the more superior innerspring types the open coil design provides average durability, longevity, motion isolation and support, but doesn’t rate as high as the next three listed below. 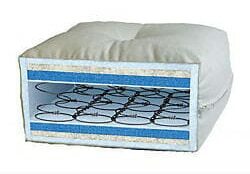 Offset coil mattresses are usually more expensive than a Bonnell. They have a similar type of design and structure, but each spring is hinged together which provides better motion isolation and body contouring. For this reason, they tend to be found in mid value or high priced mattresses. 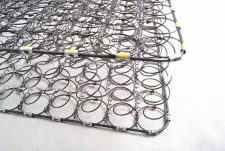 As the name suggests, this system consists of rows of springs, made with one long tempered steel wire, shaped into springs which run the full length or width of the bed. 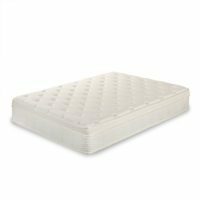 You will often find this type in low or mid-priced mattresses due to the reduced amount of motion isolation and body contouring. Also known as a pocket coil or pocket sprung mattress, these are made up of hundreds or sometimes thousands of individual springs which act independently of each other, and are wrapped in some form of cloth or fabric. This type is generally considered the best innerspring mattress core and is usually more expensive than the previous three, as it offers excellent motion isolation, support, and longevity. The above listed are the most common and generic types; however, certain manufacturers have taken the traditional style of coiling and improved them. Such patents, for example, are the FreeFlex Innerspring and TrueSense design by Serta. 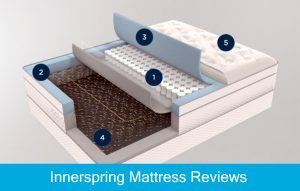 Of our 10 innerspring mattress reviews the Comfort Bedding also uses a non-standard design known as the Verticoil. All of these designs are cutting-edge technology aimed at providing new and improved ways of producing comfortable yet effective support while sleeping. This literally means the number of coils (or springs) that the inner structure is made up of. Its common to see figures more than 500, even 2000 springs in some premium models. It’s important to remember that most figures are quoted for a queen size, and if buying a twin or full for example, the figure should differ between models. Generally the higher the count, the higher the price, but don’t forget it’s not just the total number of coils that matter, you still have to consider factors such as the design in place and wire gauge. Aside from the comfort layer characteristics, another main factor that determines the firmness level is the coil gauge. This gauge measures the thickness of the springs used to make up the overall construction. The higher the figure, the thinner the spring. The lower the figure, the thicker it is. 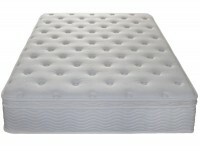 For example, an innerspring mattress with a coil gauge of 12 will be firm, and one with a gauge of 15 will be soft. To cater for every consumer, you may see this figure advertised as anywhere between 12 and 18, with half numbers in-between. As a general guide if you need a mattress for back pain relief or just prefer a firm mattress, go for a gauge of approximately 12 or 12.5. For a medium finishing choose something in-between 13 or 13.5. Some people prefer a bouncy or soft mattress, if so look for 14 gauge and above. Another classic from the brand who keep producing some of the most popular mattresses, the Gramercy is just that. At a hefty 14″ thick height, the extremely complex multi-layer design found in the Mercer echoes here, finishing off with 13 gauge coils for a medium feel and utmost comfort. 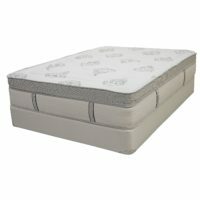 The gel memory foam and pocket coil hybrid mattress has all the positive traits of a top-rated product. Some of these features include great motion isolation and spinal support suited for sleepers of all positions, CertiPUR-US certified foam, 10-year warranty and compressed delivery provided in a small box. It’s worth noting that due to the flexible design, these two products are also compatible with adjustable beds, something which wasn’t the case with any innerspring mattress not so long ago. One of the leading manufacturers in this field brings this outstanding innovative model which makes it probably the best innerspring mattress of its type. The multiple layered hybrid design consists of individually wrapped pocket coils on top of a Bonnell type support base. This design allows you the option of a Plush Soft, Luxury Firm or simply just Firm, all of which provide an extremely comfortable nights sleep. The coil count consists of 416 for the support base, and 884 for the comfort coils above. Altogether the Queen size count is 1300. There is 13 gauge for lower support coils, while there is 14.5 gauge for upper comfort coils. Available in all the sizes including Twin XL and California King, this 14.5″ thick exceptional hybrid mattress comes with a free white glove service, which means they deliver, setup and remove your old mattress. Meanwhile, expect to pay triple for this kind of product anywhere else. The Signature Sleep Contour may be a cheap mattress but by no means is it poor quality or badly designed. In fact, the 480 pocket coil system (which is rare to come by at such a low price) combined with the 15 gauge tempered steel springs provides a fine plush surface on a supreme motion isolation platform. The individual fabric encased coils provide an equal weight distribution by contouring the curves of your body, hence relieving pressure points along your neck, shoulders, back, and hips. Whether you’re a side, back, or stomach sleeper, for anyone on a budget looking for something with all the bells and whistles, this is certainly the best spring mattress you can get. With 744 individually encased coils and a 13.5 gauge coil count in the Queen size, on paper, the Signature from the popular Signature Sleep displays an extremely good spec, especially when compared against the listed price. It comes vacuum sealed and packed in a giant duffle bag; unwrap and watch it take full shape before your eyes. Unfortunately currently only available in the three sizes (Full, Queen, and King), the 13″ is well worth a purchase if you’re after a decent yet no-frills pocket coil mattress. 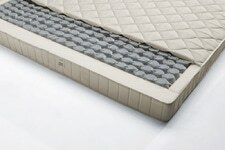 We love the mattresses that Zinus have been producing recently and the Sleep Master Ultima is no exception. The 13″ high product consists of multiple layers of varying density memory foam, and a patented iCoil base consisting of a 690 pocket sprung design (which is a jam-packed design for the money you pay). The firm 12 gauge coils in conjunction with the layers of premium super soft foam, provides a very supportive yet extremely comfortable plush finish. There are various sizes available from Twin up to King, and if 13″ is too high there are also 8, 10, and 12-inch variants too. You can read as many of our mattress reviews as you like but this one will almost certainly be high up on your shortlist. 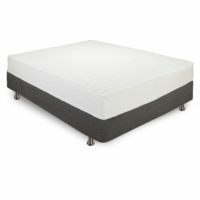 This is a very popular option among people looking for a mid-priced product, and we agree that it’s possibly the best coil mattress in its price range. The one-sided Zinus Performance Plus Extra Firm is, in fact, a hybrid as opposed to pure spring, and consists of 3 layers; the two top are certified high-density foam while the base is 7.5″ of their individually encased and patented pocket coil system known as the iCoil. The former provides a firm yet comfortable nights sleep, whilst the latter helps deliver perfect motion isolation and good orthopedic support for those with back problems. Zinus faired very well in our mattress topper reviews this year, and it seems like their mattresses are just as good. Even the fussiest sleeper will have no complaints about this all-rounder. The Zinus Night Therapy is a 13″ high beauty which feels as good as it looks. 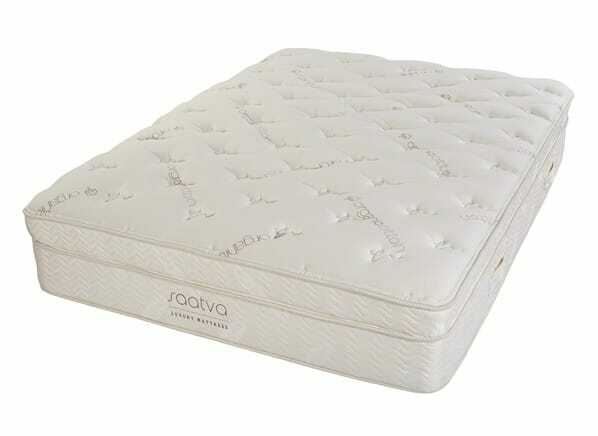 Like almost every other hybrid/spring mattress for sale nowadays it has the added benefits of varying densities of foam, collaborated with a fabric encased pocket spring base (690 coils) which are 12 gauge rated, meaning it is on the firm side of the scale. Certainly not plush, it’s popular and recommended for those with aches and pains, and somewhat borderlines the level of an orthopedic mattress but without the higher cost. If you need something a little firmer, carry on down the page for a review on the Extra Firm, but for all intents and purposes, the Night Therapy is an excellent choice for most sleepers. The 10″ high all American beauty by is a fast selling popular choice among consumers. A competitive market has driven prices real low and yes this is a cheap mattress in terms of cost but 100% quality all the way. The Queen size Englander Finale is based on 14 gauge tempered steel springs making it soft, yet firm. Ranging from twin across to California king, each model supports your full body weight evenly and comfortably. It looks and feels great, and is very affordable. What more could you want? The Dreamfoam Bedding Spring Dreams is a pocket coil flippable mattress that should outlast your average hybrid due to its two-sided design. Packed with 660 individually wrapped springs, there is superior motion isolation and contouring support for the money. Though not entirely without foam, it does exist in the design on both sides with a quilted layer around the entire body to eliminate the feel of any harsh protrusions. Backed by a 10-year warranty and made in the USA, these guys are experts when it comes to latex and memory foam, however, this new addition is certainly a sound purchase for those on a budget. Last but not least is the Advantage review. Their product range has something for everyone, and this one may be at the lower end of the scale, but it’s only monetary, not quality. 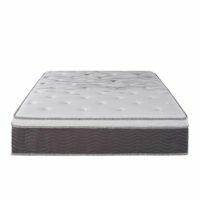 Another hybrid mattress which consists of a medium feel 13 gauge 768 pocket coil count and premium foam top layer, the specs match those of something double the cost. It’s slightly different to others considering there is a perimeter of firmer springs, which line the central interior of softer springs in order to increase longevity and retain shape, whilst still providing inch perfect body contouring and unrivaled support for the money. Although it comes with a 3-year warranty as opposed to lengthier 10 year+ offered by others, the Advantage is still worth a trial at least, you will not be disappointed. First of all, it comes with a whopping 1300 total count, which is a huge amount in comparison to other innerspring mattress reviews here, for not much more money at all. Much more springs mean on the surface layer it effortlessly supremely contours against your body almost inch perfect, so if you suffer from back pain or joint pains such as arthritis or spinal stenosis, this should give you a great form of pressure point relief. Also, the huge amount of individually acting springs allows for better motion isolation which means that your partner could be tossing and turning all night long, but you would probably feel none of this movement at all. As well as the number of springs and construction type, the multiple layers of coil chamber mean you’ll never sleep hot and bothered again; the ability of coil over coil helps maintain body temperature instead of making you hot like other types of bedding technologies. There isn’t a better spring mattress we can recommend at the moment. Yes, it’s slightly pricier than the others, but in comparison to other big names, you could easily pay twice or even three times the price for something of a similar spec. You do get what you pay for regarding quality materials, cutting-edge design, and peace of mind in the form of lengthy warranty provided by one of the worlds leading bedding manufacturers.